Vacation rental house. 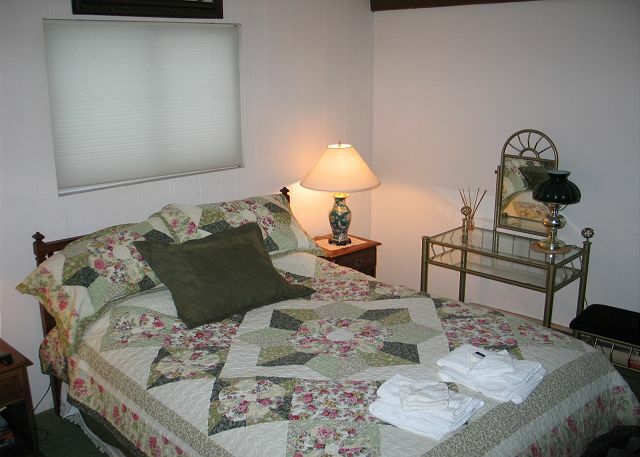 Sleeps 7, 4 bedrooms, 2 bathrooms. Cats, Dogs allowed. 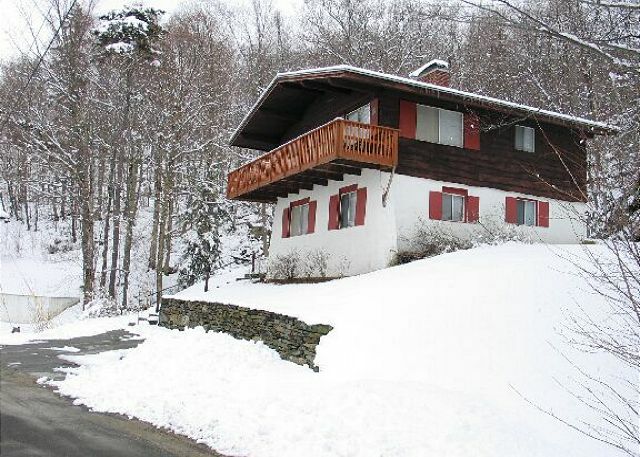 Set high on the hill, this impressive Mittersill Village Chalet is the perfect place to enjoy your White Mountain vacation. Winter snow in the White Mountains comes early and often at the Mittersill Village, immediately adjacent to Franconia Notch State Park. 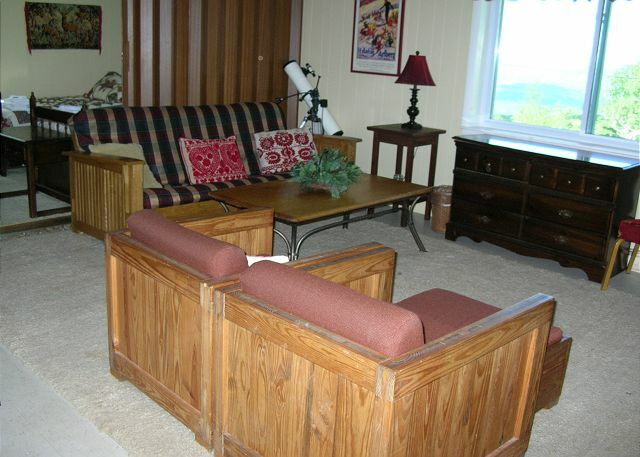 4 bedrooms, 2 full bathrooms, sleeps 7 - with 2 separate living areas and 2 parking areas as well. 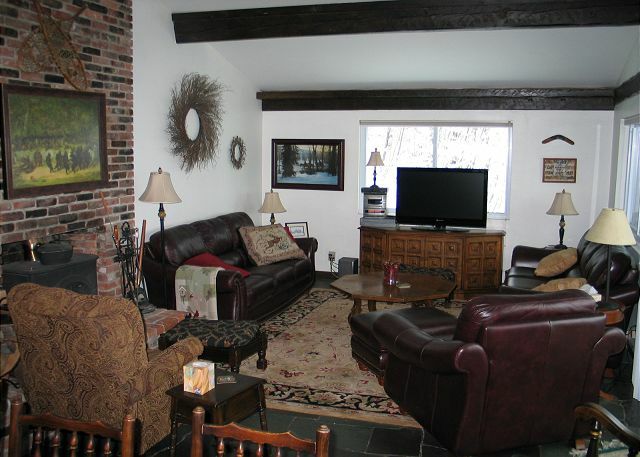 Live in Mittersill Village comfort, call us to reserve your stay today! Standing on the deck, or just sitting in the living or dining areas, Alpen Traum will afford you the following incredible view during all seasons. 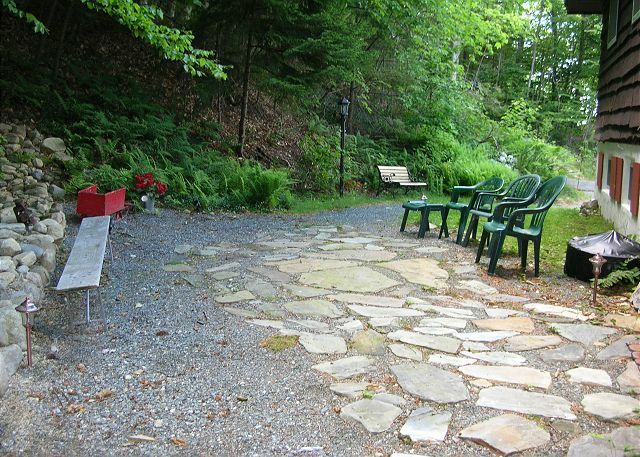 The nicely shaded, private back yard is sure to be enjoyed while relaxing in the cool mountain breezes. 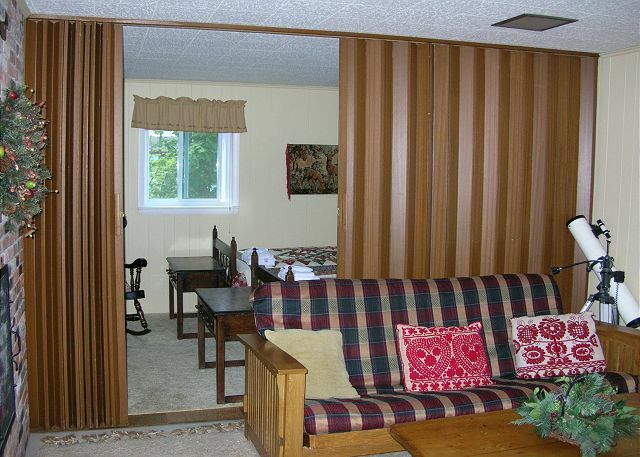 The bright and airy living area with plenty of comfortable seating. 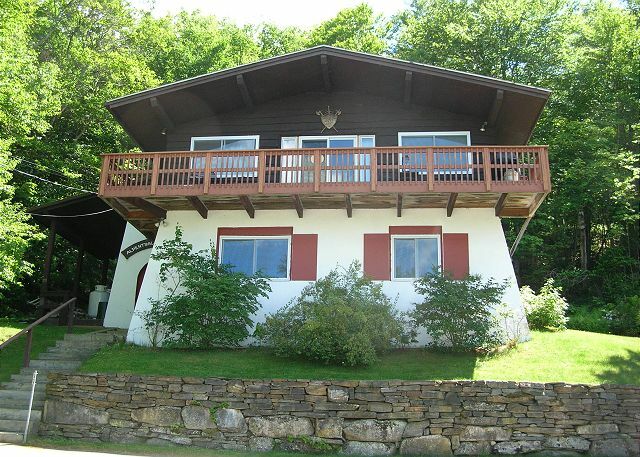 There are certainly plenty of windows, and they make some great work of exposing the Franconia Notch valley view. The spacious dining area with enough seating for your whole group. Features include a wood stove insert fireplace which provides the best of both; the warmth of a wood stove and ambient enjoyment of a fireplace. 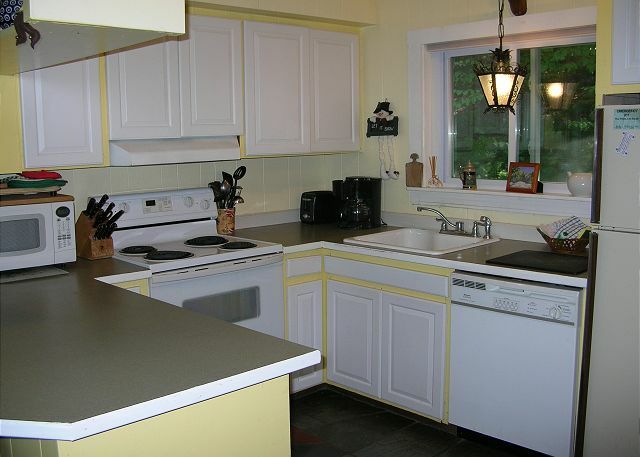 Bright and clean, this kitchen is equipped with everything you might need. Bedroom #1 Master with queen bed, ample closet space, and wall mount flat screen TV. Only bedroom on main floor. 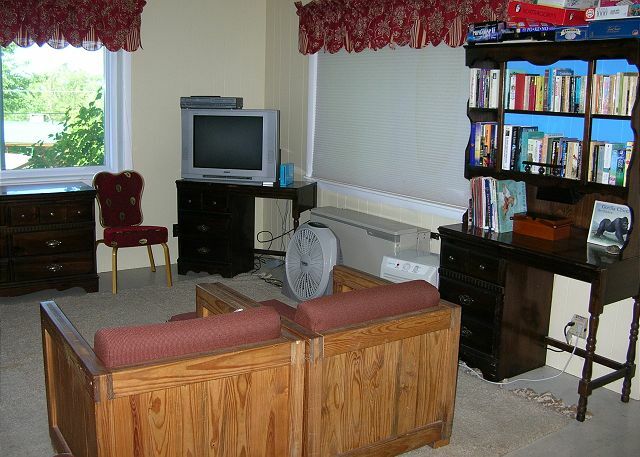 Ground floor living area - Complete with TV, DVD/VHS player, Wii gaming system, and a selection of board games and books. Bedroom #2 with 2 twin beds - located off the lower living area. Just close off the dividers and you've got your privacy! 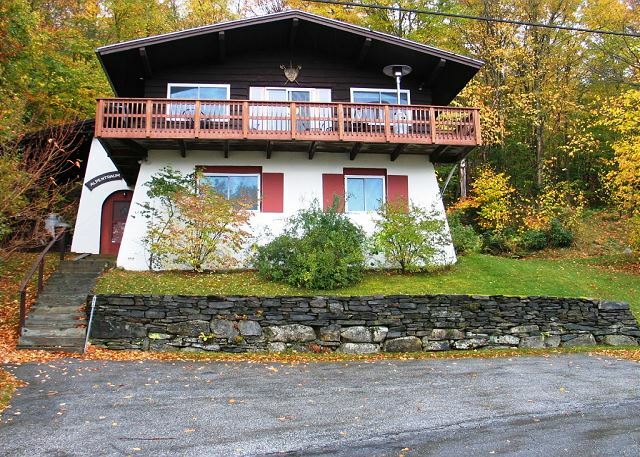 Professionally managed by Franconia Notch Vacations and fully supported, this 4 bedroom, 2 bath Mittersill Village Austrian style chalet is well equipped with comfortable sleeping for up to seven guests. Your folks are sure to enjoy the formal living room and dining area that looks out to grand valley views below, where the separate den area on the lower level ensures that the rest of the gang can relax while watching their favorite sports event or playing the latest great video game. 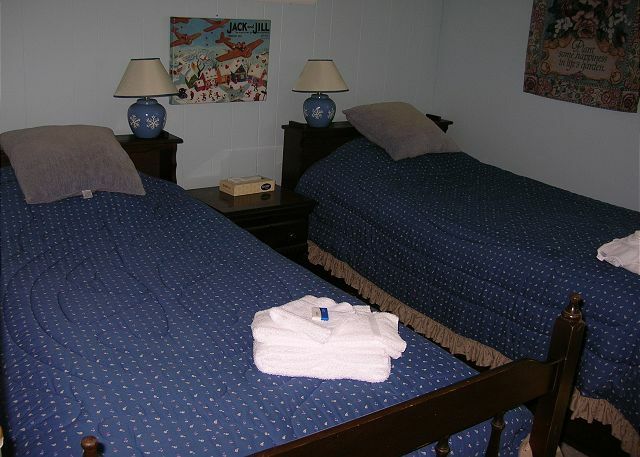 The bedding is well organized to accommodate your individual needs; one queen bed in the master on the first floor, 2 twins in the second and third bedrooms, and a fourth bedroom with a single twin, all located on the entry level. With one bathroom on the main floor, and another of the lower level, night time stairs can be avoided entirely. Private area in the back yard will allow you to gather around the fire pit to enjoy spending more quality time with the kids, family and friends. Cozy house in Mittersille. The house was perfect for our family of 6. Everyone slept great. This house is not a 5 star resort and I don’t think it’s advertised that way either. It’s a great house to spend time with young kids where you don’t have to worry about finger prints on white walls or expensive furniture for them to reck. There was an awesome fast flowing small stream near the house that our kids had a blast playing around. We skied Cannon, played in the woods and had nice family suppers. We would stay here again. Could't have asked for more! We stayed at the property for 2018 New Year's celebration, 3 couples, we had a really good time, the house was everything you could wish for, especially the second floor with an mesmerizing view of the mountains. It was very cold, but the house withstood the cold very well with its heating system. Would definitely do it again when the opportunity presents. 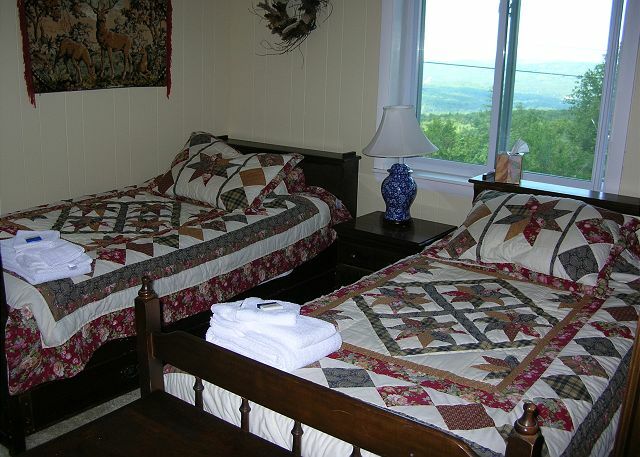 Plenty of space to spread out, cozy main room for tv and games, beautiful view, close access to hiking and skiing. The house and furnishings are somewhat dated, but in a charming way. Everything was clean and comfortable. Great stay. Very nicely maintained property. Big comfy furnishings. Nice TV, audio, and WiFi setup. Temps outside hit -27 ( no joke) and all rooms were very comfortable. Spectacular view from the deck. Very well stocked kitchen, no need to bring anything. Firewood was already there for the wood burning stove, very nice attention to detail. Flawless check-in and out by the staff as usual, we got there late and the package pickup proceedure was exactly as advertised. The 5 star rating is legit, can't find anything to warrant a downgrade. Great 5 day get away - nothing like Mittersill for that Tyrolean experience. We had a wonderful week at the Alpen Traum home. We enjoyed the beautiful view from the deck each morning and evening. Our family had many excursions to nearby Echo Lake where we enjoyed kayaking, swimming, and hiking. We also explored and swam in nearby rivers. We saw many black bear feeding on the berries at Cannon Mountain which were fun to watch. The home was well equipped for us to prepare and cook meals for my family. We also enjoyed toasting marshmallows in the backyard fire pit and playing the fun board games in the comfortable living room. I would definitely recommend this home to other families! Really convenient and great for a family get-together. Great big table for a family gathering. Always have fun at cannon mt. 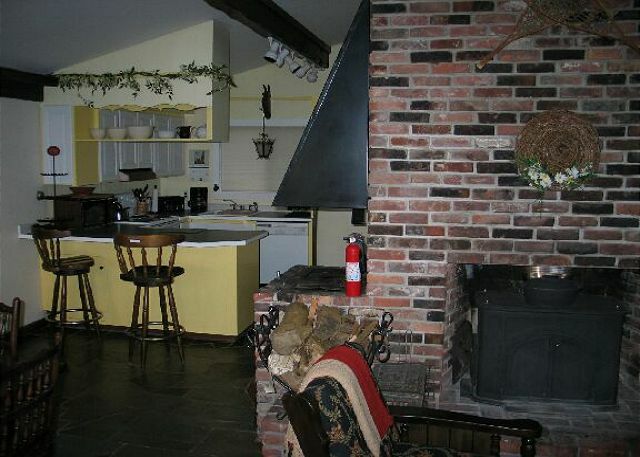 the house had great furniture,small but perfectly working fireplace! Kitchen was a little rustic and tight. could do without all the potpourri and oil sticks. but otherwise wonderful location,very clean, very Fun!! We had a wonderful time in this spacious house. Highly recommend. My husband and I have stayed at Alpen Traum for the past 3 summers. We love tranquility of sitting on the deck staring at the awesome view with the stream trickling next to the house. The house is large enough so that our extended family can stay a night or two while we are there. 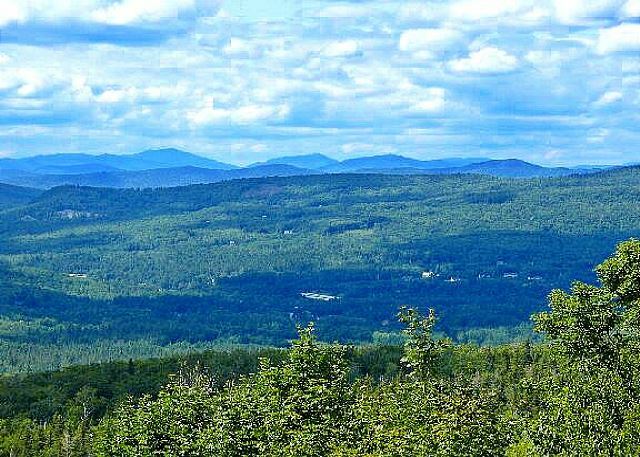 Mittersill is a great place to walk, and you are a short distance from beautiful sunsets at the Cannon Mountain parking lot. 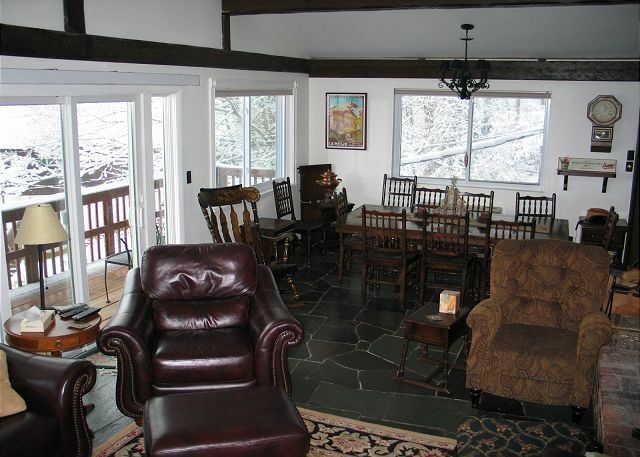 Even with no snow, a wonderful place for a group to enjoy the mountains and kick back for a weekend. Cort always has everything in place for our rental at Mittersill. Keys are ready, the heat turned on and the house is clean as a whistle! We loved this house, we shared it with another family and there was plenty of room and privacy. It is the best furnished house in Mittersill. Working with Cort at Franconia Notch Vacations has been wonderful, he is very attentive, and never makes you feel like you are bothering him. We did respect powder days though! We thoroughly enjoyed our stay at Alpentraum! 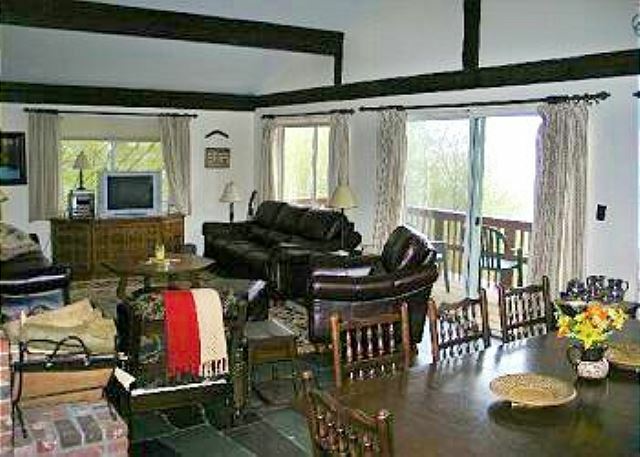 The chalet was very spacious and comfortable, and we especially enjoyed sitting on the deck to take advantage of the beautiful view of the mountains. We did miss watching the Sox though; however that will not prevent us from returning! Great tyrolian experience! Kids loved it as much as the parents! My wife especially liked the sound of the running stream! Look foward to visiting again. 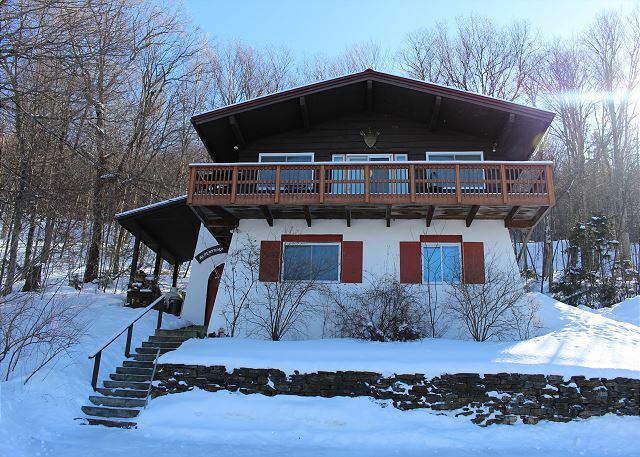 This chalet is set up perfectly if you have teen(as I do) or extended family vacationing with you...the downstairs has three bedrooms and a den(large enough to be called a second family room) great hang out zone for the teens with its great media systems. 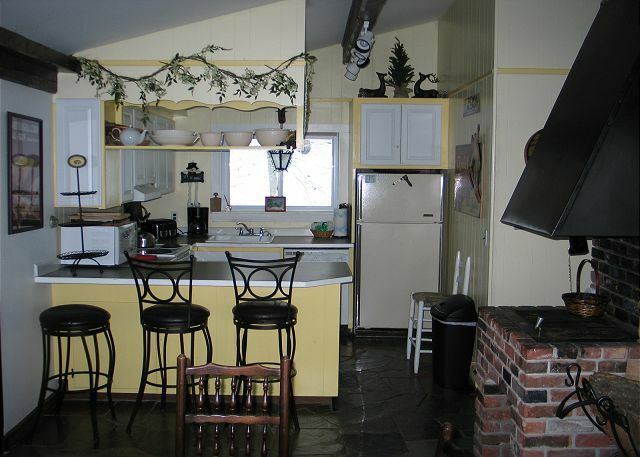 The upstairs kitchen was well stocked with great appliances and cookware, not what we usually get with vacation homes. 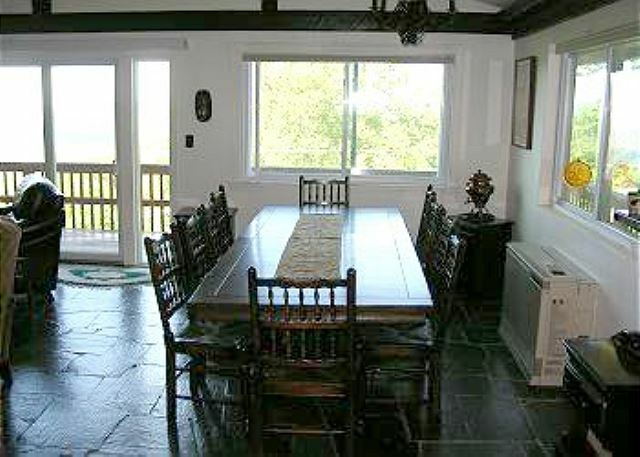 The main living room and dining area where comfortable and accomadating and the view from the deck was SPECTACULAR. 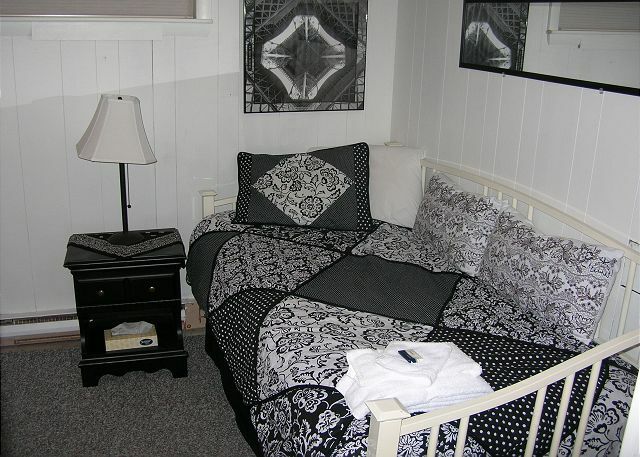 The master bedroom was cozy and best of all private. Although we didn't originally want to be up the hill in Mittersill village, we will most likely rent here again as we were most pleased with the property. Thanks Franconia Notch Vacations for another great week.